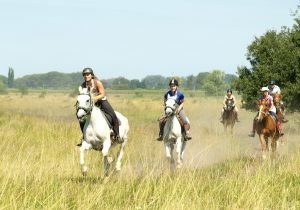 Trail riding holidays are 'point-to-point' rides. With these itineraries you ride from A to B; each day you will set off on a days riding and finish in a different location where you will spend the night, perhaps in a local guesthouse or under canvas. 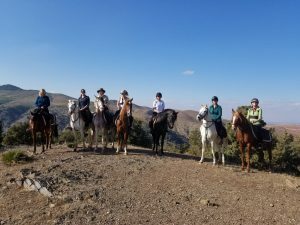 Trail rides are a good way to cover ground and often allow you to explore different areas, eco systems and cultures. Riders confident in all paces are best suited to these rides along with a degree of fitness as trails often involve 4-6 hours in the saddle daily. Some trails are circular, bringing you back to the place you started, whereas others are linear and will finish in a totally different area. We also have un-guided trails for those riders with a sense of adventure and good navigation skills! Horse riding in Tasmania in 3 unique locations: the beautiful Mersey Valley, Cradle Mountain in the Vale of Belvoir Conservation Area and Bakers Beach (Narawntapu National Park). Taking in part of the 460km Tasmanian Trail, this 5-day break offers fast riding along white sandy beaches, plenty of wildlife from wombats to possums and comfortable accommodation at two different locations. Ideal for adventurous riders looking to explore this vast, beautiful island state. 2019: Any day start throughout the year. Closed in August and September. Riding Ability Required: Should be confident at walk, trot and canter in open spaces including fast-paced beach riding. Transfer: 2019: A taxi from the airport to the stables is approximately $200 each way and a one hour drive. Most guests hire a car and drive themselves.